"Spitzbergen" redirects here. For the specific island, see Spitsbergen. For other uses, see Svalbard (disambiguation). .sj allocated but not used. Svalbard (/ˈsvɑːlbɑːr/; Urban East Norwegian: [²sʋɑːlbɑɾ]; prior to 1925 known by its Dutch name 'Spitsbergen') is a Norwegian archipelago in the Arctic Ocean. Situated north of mainland Europe, it is about midway between continental Norway and the North Pole. The islands of the group range from 74° to 81° north latitude, and from 10° to 35° east longitude. The largest island is Spitsbergen, followed by Nordaustlandet and Edgeøya. Administratively, the archipelago is not part of any Norwegian county, but forms an unincorporated area administered by a governor appointed by the Norwegian government. Since 2002, Svalbard's main settlement, Longyearbyen, has had an elected local government, somewhat similar to mainland municipalities. Other settlements include the Russian mining community of Barentsburg, the research station of Ny-Ålesund, and the mining outpost of Sveagruva. Ny-Ålesund is the northernmost settlement in the world with a permanent civilian population. Other settlements are farther north, but are populated only by rotating groups of researchers. The islands were first taken into use as a whaling base for the Danish Empire as Dano-Norwegians travelled north in hunt of whale fat in the 17th and 18th centuries, after which they were abandoned. Coal mining started at the beginning of the 20th century, and several permanent communities were established. The Svalbard Treaty of 1920 recognizes Norwegian sovereignty, and the 1925 Svalbard Act made Svalbard a full part of the Kingdom of Norway. They also established Svalbard as a free economic zone and a demilitarized zone. The Norwegian Store Norske and the Russian Arktikugol remain the only mining companies in place. Research and tourism have become important supplementary industries, with the University Centre in Svalbard (UNIS) and the Svalbard Global Seed Vault playing critical roles. No roads connect the settlements; instead snowmobiles, aircraft and boats serve inter-community transport. 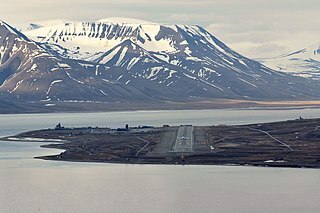 Svalbard Airport, Longyear serves as the main gateway. The archipelago features an Arctic climate, although with significantly higher temperatures than other areas at the same latitude. The flora take advantage of the long period of midnight sun to compensate for the polar night. Svalbard is a breeding ground for many seabirds, and also features polar bears, reindeer, the Arctic fox, and certain marine mammals. Seven national parks and twenty-three nature reserves cover two-thirds of the archipelago, protecting the largely untouched, yet fragile, natural environment. Approximately 60% of the archipelago is covered with glaciers, and the islands feature many mountains and fjords. Svalbard and Jan Mayen are collectively assigned the ISO 3166-1 alpha-2 country code "SJ". Both areas are administered by Norway, though they are separated by a distance of over 950 kilometres (510 nautical miles) and have very different administrative structures. The Svalbard Treaty of 1920 defines Svalbard as all islands, islets and skerries from 74° to 81° north latitude, and from 10° to 35° east longitude. The land area is 61,022 km2 (23,561 sq mi), and dominated by the island of Spitsbergen, which constitutes more than half the archipelago, followed by Nordaustlandet and Edgeøya. All settlements are located on Spitsbergen, except the meteorological outposts on Bjørnøya and Hopen. The Norwegian state took possession of all unclaimed land, or 95.2% of the archipelago, at the time the Svalbard Treaty entered into force; Store Norske owns 4%, Arktikugol owns 0.4%, while other private owners hold 0.4%. Since Svalbard is located north of the Arctic Circle it experiences midnight sun in summer and polar night in winter. At 74° north, the midnight sun lasts 99 days and polar night 84 days, while the respective figures at 81° are 141 and 128 days. In Longyearbyen, midnight sun lasts from 20 April until 23 August, and polar night lasts from 26 October to 15 February. In winter, the combination of full moon and reflective snow can give additional light. Glacial ice covers 36,502 km2 (14,094 sq mi) or 60% of Svalbard; 30% is barren rock while 10% is vegetated. 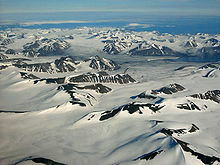 The largest glacier is Austfonna (8,412 km2 or 3,248 sq mi) on Nordaustlandet, followed by Olav V Land and Vestfonna. During summer, it is possible to ski from Sørkapp in the south to the north of Spitsbergen, with only a short distance not being covered by snow or glacier. Kvitøya is 99.3% covered by glacier. The landforms of Svalbard were created through repeated ice ages, when glaciers cut the former plateau into fjords, valleys and mountains. The tallest peak is Newtontoppen (1,717 m or 5,633 ft), followed by Perriertoppen (1,712 m or 5,617 ft), Ceresfjellet (1,675 m or 5,495 ft), Chadwickryggen (1,640 m or 5,380 ft) and Galileotoppen (1,637 m or 5,371 ft). The longest fjord is Wijdefjorden (108 km or 67 mi), followed by Isfjorden (107 km or 66 mi), Van Mijenfjorden (83 km or 52 mi), Woodfjorden (64 km or 40 mi) and Wahlenbergfjorden (46 km or 29 mi). Svalbard is part of the High Arctic Large Igneous Province, and experienced Norway's strongest earthquake on 6 March 2009, which hit a magnitude of 6.5. Spitsbergen and Svalbard during the Golden Age of Dutch exploration and discovery (c. 1590s–1720s). Portion of 1599 map of Arctic exploration by Willem Barentsz. Spitsbergen, here mapped for the first time, is indicated as "Het Nieuwe Land" (Dutch for "the New Land"), center-left. This is a typical map from the Golden Age of Dutch cartography. Norsemen possibly discovered Svalbard as early as the 12th century. There are traditional Norse accounts of a land known as Svalbarð—literally "cold shores"—although this might have referred to Jan Mayen, or a part of eastern Greenland. It was thought both Svalbard and Greenland were connected to Continental Europe. The archipelago might in that period have been used for fishing and hunting. The Dutchman Willem Barentsz made the first discovery of the archipelago in 1596, when he sighted its coast while searching for the Northern Sea Route. 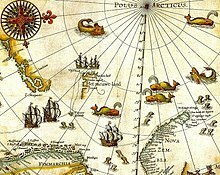 The name Spitsbergen originated with Barentsz, who described the "pointed mountains" he saw on the west coast of the main island, Spitsbergen although his 1599 map of the Arctic labels the island as Het Nieuwe Land ("The New Land"). Barentsz did not recognize that he had discovered an archipelago, and consequently the name Spitsbergen long remained in use both for the main island and for the archipelago as a whole. The first known landing on the island dates to 1604, when an English ship landed at Bjørnøya and started hunting walrus; annual expeditions soon followed, and Spitsbergen became a base for hunting the bowhead whale from 1611. Because of the lawless nature of the area, English, Danish, Dutch, and French companies and authorities tried to use force to keep out other countries' fleets. Smeerenburg was one of the first settlements, established by the Dutch in 1619. Smaller bases were also built by the English, Danish and French. At first the outposts were merely summer camps, but from the early 1630s, a few individuals started to overwinter. Whaling at Spitsbergen lasted until the 1820s, when the Dutch, British and Danish whalers moved elsewhere in the Arctic. By the late 17th century, Russian hunters arrived; they overwintered to a greater extent and hunted land mammals such as the polar bear and fox. After the Anglo-Russian War in 1809, Russian activity on Svalbard diminished, and ceased by the 1820s. Norwegian hunting—mostly for walrus—started in the 1790s. The first Norwegian citizens to reach Spitsbergen proper were a number of Coast Sámi people from the Hammerfest region, who were hired as part of a Russian crew for an expedition in 1795. Norwegian whaling was abandoned about the same time as the Russians left, but whaling continued around Spitsbergen until the 1830s, and around Bjørnøya until the 1860s. By the 1890s, Svalbard had become a destination for Arctic tourism, coal deposits had been found and the islands were being used as a base for Arctic exploration. The first mining was along Isfjorden by Norwegians in 1899; by 1904, British interests had established themselves in Adventfjorden and started the first all-year operations. Production in Longyearbyen, by American interests, started in 1908; and Store Norske established itself in 1916, as did other Norwegian interests during the war, in part by buying American interests. Discussions to establish the sovereignty of the archipelago commenced in the 1910s, but were interrupted by World War I. On 9 February 1920, following the Paris Peace Conference, the Svalbard Treaty was signed, granting full sovereignty to Norway. However, all signatory countries were granted non-discriminatory rights to fishing, hunting and mineral resources. The treaty took effect on 14 August 1925, at the same time as the Svalbard Act regulated the archipelago and the first governor, Johannes Gerckens Bassøe, took office. The archipelago has traditionally been known as Spitsbergen, and the main island as West Spitsbergen. From the 1920s, Norway renamed the archipelago Svalbard, and the main island became Spitsbergen. Kvitøya, Kong Karls Land, Hopen and Bjørnøya were not regarded as part of the Spitsbergen archipelago. Russians have traditionally called the archipelago Grumant (Грумант). The Soviet Union retained the name Spitsbergen (Шпицберген) to support undocumented claims that Russians were the first to discover the island. In 1928, Italian explorer Umberto Nobile and the crew of the airship Italia crashed on the icepack off the coast of Foyn Island. The subsequent rescue attempts were covered extensively in the press and Svalbard received short-lived fame as a result. In 1941, after Operation Gauntlet, all Norwegian and Soviet settlements on Svalbard were evacuated, and a German presence was established with a meteorological outpost, although a small Norwegian garrison was kept on Spitsbergen. The German Operation Zitronella took this garrison by force in 1943, and at the same time destroying the settlements at Longyearbyen and Barentsburg. In September 1944, together with the supply ship Carl J. Busch, the submarine U-307 transported the men of Operation Haudegen to Svalbard. Operation Haudegen (i.e., swashbuckler) was the name of a German operation during the Second World War to establish meteorological stations on Svalbard. The station was active from 9 September 1944 to 4 September 1945. It lost radio contact in May 1945, and the soldiers were capable of asking for support only in August 1945. On 4 September 1945, the soldiers were picked up by a Norwegian seal hunting vessel and surrendered to its captain. This group of men were the last German troops to surrender after the Second World War. 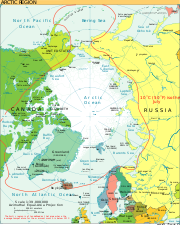 After the war, the Soviet Union proposed common Norwegian and Soviet administration and military defence of Svalbard. This was rejected in 1947 by Norway, which two years later joined NATO. The Soviet Union retained high civilian activity on Svalbard, in part to ensure that the archipelago was not used by NATO. 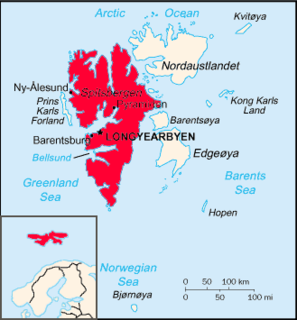 After the war, Norway re-established operations at Longyearbyen and Ny-Ålesund, while the Soviet Union established mining in Barentsburg, Pyramiden and Grumant. The mine at Ny-Ålesund had several fatal accidents, killing 71 people while it was in operation from 1945 to 1954 and from 1960 to 1963. The Kings Bay Affair, caused by the 1962 accident killing 21 workers, forced Gerhardsen's Third Cabinet to resign. From 1964, Ny-Ålesund became a research outpost, and a facility for the European Space Research Organisation. Petroleum test drilling was started in 1963 and continued until 1984, but no commercially viable fields were found. From 1960, regular charter flights were made from the mainland to a field at Hotellneset; in 1975, Svalbard Airport, Longyear opened, allowing year-round services. During the Cold War, the Soviet Union retained about two-thirds of the population on the islands (with a third being Norwegians) with the archipelago's population slightly under 4,000. Russian activity has diminished considerably since then, falling from 2,500 to 450 people from 1990 to 2010. Grumant was closed after it was depleted in 1962. Pyramiden was closed in 1998. Coal exports from Barentsburg ceased in 2006 because of a fire, but resumed in 2010. The Russian community has also experienced two air accidents, Vnukovo Airlines Flight 2801, which killed 141 people, and the Heerodden helicopter accident. Longyearbyen remained purely a company town until 1989 when utilities, culture and education was separated into Svalbard Samfunnsdrift. In 1993 it was sold to the national government and the University Centre was established. Through the 1990s, tourism increased and the town developed an economy independent of Store Norske and the mining. Longyearbyen was incorporated on 1 January 2002, receiving a community council. In 2016, Svalbard had a population of 2,667, of which 423 were Russian and Ukrainian, 10 Polish and 322 non-Norwegians living in Norwegian settlements. The largest non-Norwegian groups in Longyearbyen in 2005 were from Thailand, Sweden, Denmark, Russia and Germany. Longyearbyen is the largest settlement on the archipelago, the seat of the governor and the only town to be incorporated. The town features a hospital, primary and secondary school, university, sports center with a swimming pool, library, culture center, cinema, bus transport, hotels, a bank, and several museums. The newspaper Svalbardposten is published weekly. Only a small fraction of the mining activity remains at Longyearbyen; instead, workers commute to Sveagruva (or Svea) where Store Norske operates a mine. Sveagruva is a dormitory town, with workers commuting from Longyearbyen weekly. Ny-Ålesund is a permanent settlement based entirely around research. Formerly a mining town, it is still a company town operated by the Norwegian state-owned Kings Bay. While there is some tourism there, Norwegian authorities limit access to the outpost to minimize impact on the scientific work. Ny-Ålesund has a winter population of 35 and a summer population of 180. The Norwegian Meteorological Institute has outposts at Bjørnøya and Hopen, with respectively ten and four people stationed. Both outposts can also house temporary research staff. Poland operates the Polish Polar Station at Hornsund, with ten permanent residents. Barentsburg is the only permanently inhabited Russian settlement after Pyramiden was abandoned in 1998. It is a company town: all facilities are owned by Arktikugol, which operates a coal mine. In addition to the mining facilities, Arktikugol has opened a hotel and souvenir shop, catering for tourists taking day trips or hikes from Longyearbyen. The village features facilities such as a school, library, sports center, community center, swimming pool, farm and greenhouse. Pyramiden features similar facilities; both are built in typical post-World War II Soviet architectural and planning style and contain the world's two most northerly Lenin statues and other socialist realism artwork. As of 2013[update], a handful of workers are stationed in the largely abandoned Pyramiden to maintain the infrastructure and run the hotel, which has been re-opened for tourists. Most of the population is Christian and affiliated with the Church of Norway. Catholics on the archipelago are pastorally served by the Roman Catholic Diocese of Oslo. The Svalbard Treaty of 1920 established full Norwegian sovereignty over the archipelago. The islands are, unlike the Norwegian Antarctic Territory, a part of the Kingdom of Norway and not a dependency. The treaty came into effect in 1925, following the Svalbard Act. All forty signatory countries of the treaty have the right to conduct commercial activities on the archipelago without discrimination, although all activity is subject to Norwegian legislation. The treaty limits Norway's right to collect taxes to that of financing services on Svalbard. Therefore, Svalbard has a lower income tax than mainland Norway, and there is no value added tax. There is a separate budget for Svalbard to ensure compliance. Svalbard is a demilitarized zone, as the treaty prohibits the establishment of military installations. Norwegian military activity is limited to fishery surveillance by the Norwegian Coast Guard as the treaty requires Norway to protect the natural environment. The Svalbard Act established the institution of the Governor of Svalbard (Norwegian: Sysselmannen), who holds the responsibility as both county governor and chief of police, as well as holding other authority granted from the executive branch. Duties include environmental policy, family law, law enforcement, search and rescue, tourism management, information services, contact with foreign settlements, and judge in some areas of maritime inquiries and judicial examinations—albeit never in the same cases as acting as police. Since 2015, Kjerstin Askholt has been governor; she is assisted by a staff of 26 professionals. The institution is subordinate to the Ministry of Justice and the Police, but reports to other ministries in matters within their portfolio. Since 2002, Longyearbyen Community Council has had many of the same responsibilities of a municipality, including utilities, education, cultural facilities, fire department, roads and ports. No care or nursing services are available, nor is welfare payment available. Norwegian residents retain pension and medical rights through their mainland municipalities. The hospital is part of University Hospital of North Norway, while the airport is operated by state-owned Avinor. Ny-Ålesund and Barentsburg remain company towns with all infrastructure owned by Kings Bay and Arktikugol, respectively. 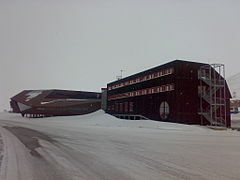 Other public offices with presence on Svalbard are the Norwegian Directorate of Mining, the Norwegian Polar Institute, the Norwegian Tax Administration and the Church of Norway. Svalbard is subordinate to Nord-Troms District Court and Hålogaland Court of Appeal, both located in Tromsø. Although Norway is part of the European Economic Area (EEA) and the Schengen Agreement, Svalbard is not part of the Schengen Area or the EEA. Non-EU and non-Nordic Svalbard residents do not need Schengen visas, but are prohibited from reaching Svalbard from mainland Norway without such. People without a source of income can be rejected by the governor. No person is required to have a visa or residence permit for Svalbard. Everybody can live and work in Svalbard indefinitely regardless of citizenship. Svalbard Treaty grants treaty nationals equal right of abode as Norwegian nationals. So far, non-treaty nationals were admitted visa-free as well. "Regulations concerning rejection and expulsion from Svalbard" in force. Russia retains a consulate in Barentsburg. In September 2010 a treaty was made between Russia and Norway fixing the boundary between the Svalbard archipelago and the Novaya Zemlya archipelago. Increased interest in petroleum exploration in the Arctic raised interest in a resolution of the dispute. The agreement takes into account the relative positions of the archipelagos, rather than being based simply on northward extension of the continental border of Norway and Russia. The three main industries on Svalbard are coal mining, tourism, and research. In 2007, there were 484 people working in the mining sector, 211 people working in the tourism sector and 111 people working in the education sector. The same year, the mining gave a revenue of NOK 2.008 billion (227,791,078 USD), tourism NOK 317 million (35,967,202 USD) and research NOK 142 million (16,098,404 USD) In 2006, the average income for economically active people was NOK 494,700; 23% higher than on the mainland. Almost all housing is owned by the various employers and institutions and rented to their employees; there are only a few privately owned houses, most of which are recreational cabins. Because of this, it is nearly impossible to live on Svalbard without working for an established institution. Since the resettlement of Svalbard in the early 20th century, coal mining has been the dominant commercial activity. Store Norske Spitsbergen Kulkompani, a subsidiary of the Norwegian Ministry of Trade and Industry, operates Svea Nord in Sveagruva and Mine 7 in Longyearbyen. The former produced 3.4 million tonnes in 2008, while the latter uses 35% of its output to Longyearbyen Power Station. Since 2007, there has not been any significant mining by the Russian state-owned Arktikugol in Barentsburg. There have previously been performed test drilling for petroleum on land, but these did not give satisfactory results for permanent operation. The Norwegian authorities do not allow offshore petroleum activities for environmental reasons, and the land formerly test-drilled on has been protected as natural reserves or national parks. In 2011, a 20-year plan to develop offshore oil and gas resources around Svalbard was announced. Svalbard has historically been a base for both whaling and fishing. Norway claimed a 200-nautical-mile (370 km; 230 mi) exclusive economic zone (EEZ) around Svalbard in 1977, with 31,688 square kilometres (12,235 sq mi) of internal waters and 770,565 square kilometres (297,517 sq mi) of EEZ. Norway retains a restrictive fisheries policy in the zone, and the claims are disputed by Russia. Tourism is focused on the environment and is centered on Longyearbyen. Activities include hiking, kayaking, walks through glacier caves and snowmobile and dog-sled safari. Cruise ships generate a significant portion of the traffic, including both stops by offshore vessels and expeditionary cruises starting and ending in Svalbard. Traffic is strongly concentrated between March and August; overnights have quintupled from 1991 to 2008, when there were 93,000 guest-nights. Research on Svalbard centers on Longyearbyen and Ny-Ålesund, the most accessible areas in the high Arctic. The treaty grants permission for any nation to conduct research on Svalbard, resulting in the Polish Polar Station and the Chinese Arctic Yellow River Station, plus Russian facilities in Barentsburg. The University Centre in Svalbard in Longyearbyen offers undergraduate, graduate and postgraduate courses to 350 students in various arctic sciences, particularly biology, geology and geophysics. Courses are provided to supplement studies at the mainland universities; there are no tuition fees and courses are held in English, with Norwegian and international students equally represented. The Svalbard Global Seed Vault is a seedbank to store seeds from as many of the world's crop varieties and their botanical wild relatives as possible. A cooperation between the government of Norway and the Global Crop Diversity Trust, the vault is cut into rock near Longyearbyen, keeping it at a natural −6 °C (21 °F) and refrigerating the seeds to −18 °C (0 °F). The Svalbard Undersea Cable System is a 1,440 km (890 mi) fibre optic line from Svalbard to Harstad, needed for communicating with polar orbiting satellites through Svalbard Satellite Station and installations in Ny-Ålesund. One source of income for the area was, until 2015, visiting cruise ships. The Norwegian government became concerned about large numbers of cruise ship passengers suddenly landing at small settlements such as Ny-Ålesund, which is conveniently close to the barren-yet-picturesque Magdalena Fjord. With the increasing size of the larger ships, up to 2000 people can potentially appear in a community that normally numbers less than 40. As a result, the government severely restricted the size of cruise ships that may visit. Within Longyearbyen, Barentsburg, and Ny-Ålesund, there are road systems, but they do not connect with each other. Off-road motorized transport is prohibited on bare ground, but snowmobiles are used extensively during winter—both for commercial and recreational activities. Transport from Longyearbyen to Barentsburg (45 km or 28 mi) and Pyramiden (100 km or 62 mi) is possible by snowmobile in winter, or by ship all year round. All settlements have ports and Longyearbyen has a bus system. Svalbard Airport, Longyear, located 3 kilometres (2 mi) from Longyearbyen, is the only airport offering air transport off the archipelago. Scandinavian Airlines has daily scheduled services to Tromsø and Oslo. Low-cost carrier Norwegian Air Shuttle also has a service between Oslo and Svalbard, operating three or four times a week; there are also irregular charter services to Russia. Finnair announced commencement of service from Helsinki, operating three times a week starting 1 June 2016 and lasting until 27 August 2016, but Norwegian authorities did not allow this route, citing the 1978 bilateral agreement on air traffic between Finland and Norway. Lufttransport provides regular corporate charter services from Longyearbyen to Ny-Ålesund Airport and Svea Airport for Kings Bay and Store Norske; these flights are in general not available to the public. 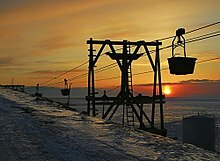 There are heliports in Barentsburg and Pyramiden, and helicopters are frequently used by the governor and to a lesser extent the mining company Arktikugol. The climate of Svalbard is dominated by its high latitude, with the average summer temperature at 4 to 6 °C (39 to 43 °F) and January averages at −16 to −12 °C (3 to 10 °F). The West Spitsbergen Current, the northernmost branch of the North Atlantic Current system, moderates Svalbard's temperatures, particularly during winter. Winter temperatures in Svalbard are up to 2 °C (4 °F) higher than those at similar latitudes in Russia and Canada. The warm Atlantic water keeps the surrounding waters open and navigable most of the year. The interior fjord areas and valleys, sheltered by the mountains, have larger temperature differences than the coast, giving about 2 °C (4 °F) warmer summer temperatures and 3 °C (5 °F) colder winter temperatures. On the south of Spitsbergen, the temperature is slightly higher than further north and west. During winter, the temperature difference between south and north is typically 5 °C (9 °F), and about 3 °C (5 °F) in summer. Bear Island has average temperatures even higher than the rest of the archipelago. Svalbard is where cold polar air from the north and mild, wet sea air from the south meet, creating low pressure, changeable weather and strong winds, particularly in winter; in January, a strong breeze is registered 17% of the time at Isfjord Radio, but only 1% of the time in July. In summer, particularly away from land,[clarification needed] fog is common, with visibility under 1 kilometre (0.6 mi) registered 20% of the time in July and 1% of the time in January, at Hopen and Bjørnøya. Precipitation is frequent, but falls in small quantities, typically less than 400 millimetres (16 in) per year in western Spitsbergen. More rain falls on the uninhabited east side, where there can be more than 1,000 millimetres (39 in). 2016 was the warmest year on record at Svalbard Airport, with a remarkable mean temperature of 0.0 °C (32.0 °F), 7.5 °C (13.5 °F) above the 1961–90 average, and more comparable to a location at the arctic circle. The coldest temperature of the year was as high as −18 °C (0 °F), warmer than the mean minimum in a normal January, February or March. In the same year, the number of days when there was rainfall equaled the number of days when there was snowfall, a significant deviation from the usual pattern whereby there would be at least twice as many snow days. In addition to humans, three primarily terrestrial mammalian species inhabit the archipelago: the Arctic fox, the Svalbard reindeer, and accidentally introduced southern voles, which are found only in Grumant. Attempts to introduce the Arctic hare and the muskox have both failed. There are fifteen to twenty types of marine mammals, including whales, dolphins, seals, walruses, and polar bears. Polar bears are the iconic symbol of Svalbard, and one of the main tourist attractions. The animals are protected and people moving outside the settlements are required to have appropriate scare devices to ward off attacks. They are also advised to carry a firearm for use as a last resort. A British schoolboy was killed by a polar bear in 2011. In July 2018 a polar bear was shot dead after it attacked and injured a polar bear guard leading tourists off a cruise ship. Svalbard and Franz Joseph Land share a common population of 3,000 polar bears, with Kong Karls Land being the most important breeding ground. The Svalbard reindeer (R. tarandus platyrhynchus) is a distinct sub-species; although it was previously almost extinct, it can be legally hunted (as can Arctic fox). There are limited numbers of domesticated animals in the Russian settlements. About eighty species of bird are found on Svalbard, most of which are migratory. The Barents Sea is among the areas in the world with most seabirds, with about 20 million individuals during late summer. The most common are little auk, northern fulmar, thick-billed murre and black-legged kittiwake. Sixteen species are on the IUCN Red List. Particularly Bjørnøya, Storfjorden, Nordvest-Spitsbergen and Hopen are important breeding ground for seabirds. The Arctic tern has the furthest migration, all the way to Antarctica. Only two songbirds migrate to Svalbard to breed: the snow bunting and the wheatear. Rock ptarmigan is the only bird to overwinter. Remains of Predator X from the Jurassic period have been found; it is the largest dinosaur-era marine reptile ever found—a pliosaur estimated to have been almost 15 m (49 ft) long. Svalbard has permafrost and tundra, with both low, middle and high Arctic vegetation. 165 species of plants have been found on the archipelago. Only those areas which defrost in the summer have vegetations, which accounts for about 10% of the archipelago. Vegetation is most abundant in Nordenskiöld Land, around Isfjorden and where affected by guano. While there is little precipitation, giving the archipelago a steppe climate, plants still have good access to water because the cold climate reduces evaporation. The growing season is very short, and may last only a few weeks. There are seven national parks in Svalbard: Forlandet, Indre Wijdefjorden, Nordenskiöld Land, Nordre Isfjorden Land, Nordvest-Spitsbergen, Sassen-Bünsow Land and Sør-Spitsbergen. The archipelago has fifteen bird sanctuaries, one geotopic protected area and six nature reserves—with Nordaust-Svalbard and Søraust-Svalbard both being larger than any of the national parks. Most of the nature reserves and three of the national parks were created in 1973, with the remaining areas gaining protection in the 2000s. All human traces dating from before 1946 are automatically protected. The protected areas make up 65% of the archipelago. Svalbard is on Norway's tentative list for nomination as a UNESCO World Heritage Site. 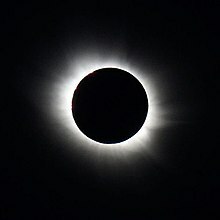 The total solar eclipse of 20 March 2015 included only Svalbard and the Faroe Islands in the band of totality. Many scientists and tourists observed it. Longyearbyen School serves ages 6–18. It is the primary/secondary school in the northernmost location on Earth. Once pupils reach ages 16 or 17 most families move to mainland Norway. Barentsburg has its own school serving the Russian community; by 2014 it had three teachers, and its welfare funds had declined. A primary school served the community of Pyramiden in the pre-1998 period. There is a non-degree offering tertiary educational institution in Longyearbyen, University Centre in Svalbard (UNIS), the tertiary school in the northernmost location on Earth. Association football is the most popular sport in Svalbard. There are three football pitches, but no stadiums because of the low population. ^ "World Factbook: Svalbard". www.cia.gov. Retrieved 17 April 2019. ^ "The .bv and .sj top level domains". Norid. Archived from the original on 7 February 2009. Retrieved 24 March 2010. ^ "Svalbard – definition of Svalbard in English | Oxford Dictionaries". Oxford Dictionaries | English. Archived from the original on 18 September 2016. Retrieved 17 September 2016. ^ a b c "Svalbard". World Fact Book. Central Intelligence Agency. 15 January 2010. Archived from the original on 4 March 2012. Retrieved 24 March 2010. ^ a b "Svalbard". Norwegian Polar Institute. Archived from the original on 27 April 2012. Retrieved 24 March 2010. ^ a b "Svalbard Treaty". Wikisource. 9 February 1920. Archived from the original on 24 March 2010. Retrieved 24 March 2010. ^ a b c "7 Industrial, mining and commercial activities". Report No. 9 to the Storting (1999–2000): Svalbard. Norwegian Ministry of Justice and the Police. 29 October 1999. Archived from the original on 19 April 2012. Retrieved 24 March 2010. ^ "Geographical survey. Fjords and mountains". Statistics Norway. 22 October 2009. Archived from the original on 14 November 2011. Retrieved 24 March 2010. ^ Maher, Harmon D. Jr. (November 1999). "Research Project on the manifestation of the High Arctic Large Igneous Province (HALIP) on Svalbard". University of Nebraska at Omaha. Archived from the original on 28 June 2010. Retrieved 24 March 2010. ^ "Svalbard hit by major earthquake". The Norway Post. Norwegian Broadcasting Corporation. 7 March 2009. Archived from the original on 14 March 2012. Retrieved 24 March 2010. ^ In Search of Het Behouden Huys: A Survey of the Remains of the House of Willem Barentsz on Novaya Zemlya, LOUWRENS HACQUEBORD, p. 250 Archived 27 March 2009 at the Wayback Machine. Detail of Barentsz' 1599 arctic map, published online by Tromsø University 1999 as part of the "Northern Lights Route" project of the Council of Europe. ^ "Place names of Svalbard". Norwegian Polar Institute. Archived from the original on 6 June 2011. Retrieved 24 March 2010. ^ "Kings Bay" (in Norwegian). Archived from the original on 3 November 2006. Retrieved 24 March 2010. ^ "Kings Bay-saken" (in Norwegian). Archived from the original on 9 November 2006. Retrieved 24 March 2010. ^ "Persons in settlements 1 January. 1990–2005". Statistics Norway. Archived from the original on 14 November 2011. Retrieved 24 March 2010. ^ a b "Non-Norwegian population in Longyearbyen, by nationality. Per 1 January. 2004 and 2005. Number of persons". Statistics Norway. Archived from the original on 23 May 2010. Retrieved 24 March 2010. ^ a b c d e f g "10 Longyearbyen og øvrige lokalsamfunn". St.meld. nr. 22 (2008–2009): Svalbard. Norwegian Ministry of Justice and the Police. 17 April 2009. Archived from the original on 11 October 2012. Retrieved 24 March 2010. ^ Staalesen, Atle (8 November 2010). "Russians restarted coal mining at Svalbard". Barents Observer. Archived from the original on 20 November 2010. Retrieved 26 January 2010. ^ "29 Aug 1996". Aviation Safety Network. Archived from the original on 17 April 2010. Retrieved 24 March 2010. ^ Eisenträger, Stian & Per Øyvind Fange (30 March 2008). "- Kraftig vindkast trolig årsaken". Verdens Gang. Archived from the original on 10 June 2011. Retrieved 24 March 2010. ^ a b "Arctic science for global challenges". University Centre in Svalbard. Archived from the original on 14 March 2012. Retrieved 24 March 2010. ^ a b c d e f "9 Næringsvirksomhet". St.meld. nr. 22 (2008–2009): Svalbard. Norwegian Ministry of Justice and the Police. 17 April 2009. Archived from the original on 25 August 2011. Retrieved 24 March 2010. ^ "Shops/services". Svalbard Reiseliv. Archived from the original on 12 April 2010. Retrieved 24 March 2010. ^ "Attractions". Svalbard Reiseliv. Archived from the original on 25 January 2010. Retrieved 24 March 2010. ^ "Ny-Ålesund". Kings Bay. Archived from the original on 10 March 2009. Retrieved 24 March 2010. ^ "Svalbard Treaty". Governor of Svalbard. Archived from the original on 23 July 2011. Retrieved 24 March 2010. ^ "5 The administration of Svalbard". Report No. 9 to the Storting (1999–2000): Svalbard. Norwegian Ministry of Justice and the Police. 29 October 1999. Archived from the original on 19 April 2012. Retrieved 24 March 2010. ^ "Lov om Svalbard" (in Norwegian). Lovdata. 19 June 2009. Retrieved 24 March 2010. ^ "Organisation". Governor of Svalbard. Archived from the original on 23 July 2011. Retrieved 24 March 2010. ^ "From the cradle, but not to the grave" (PDF). Statistics Norway. Archived from the original (PDF) on 15 May 2016. Retrieved 24 March 2010. ^ "6 Administrasjon". St.meld. nr. 22 (2008–2009): Svalbard. Norwegian Ministry of Justice and the Police. 17 April 2009. Archived from the original on 11 October 2012. Retrieved 24 March 2010. ^ "Nord-Troms tingrett". Norwegian National Courts Administration. Archived from the original on 25 August 2011. Retrieved 24 March 2010. ^ "Lov om gjennomføring i norsk rett av hoveddelen i avtale om Det europeiske økonomiske samarbeidsområde (EØS) m.v. (EØS-loven)" (in Norwegian). Lovdata. 10 August 2007. Archived from the original on 10 December 2000. Retrieved 24 March 2010. ^ a b "Entry and residence". Governor of Svalbard. Archived from the original on 24 September 2015. Retrieved 24 August 2015. ^ "Entry and residence". sysselmannen.no. Archived from the original on 24 September 2015. ^ "Immigrants warmly welcomed". aljazeera.com. Archived from the original on 3 August 2017. ^ "Diplomatic and consular missions of Russia". Ministry of Foreign Affairs of Russia. Archived from the original on 2 October 2009. Retrieved 24 March 2010. ^ "Currency Converter – MSN Money". www.msn.com. Archived from the original on 27 January 2016. Retrieved 19 January 2016. ^ a b "Focus on Svalbard". Statistics Norway. Archived from the original on 13 November 2011. Retrieved 24 March 2010. ^ Gibbs, Walter; Koranyi, Balazs (18 November 2011). "Norway mobilises for oil push into Arctic". Reuters. Archived from the original on 2 December 2011. Retrieved 20 November 2011. ^ "Oversikt over geografiske forhold". Statistics Norway. 2009. Archived from the original on 1 September 2010. Retrieved 24 March 2010. ^ "8 Research and higher education". Report No. 9 to the Storting (1999–2000): Svalbard. Norwegian Ministry of Justice and the Police. 29 October 1999. Archived from the original on 23 January 2010. Retrieved 24 March 2010. ^ "Norway Reveals Design of Doomsday' Seed Vault". Nature. 445. 15 February 2007. doi:10.1038/445693a. ^ "Life in the cold store". BBC News. 26 February 2008. Archived from the original on 19 October 2009. Retrieved 24 March 2010. ^ Gjesteland, Eirik (2004). "Technical solution and implementation of the Svalbard fibre cable" (PDF). Telektronic (3). Archived from the original (PDF) on 10 April 2008. Retrieved 24 March 2010. ^ Skår, Rolf (2004). "Why and how Svalbard got the fibre" (PDF). Telektronic (3). Archived from the original (PDF) on 10 April 2008. Retrieved 24 March 2010. ^ Machan, Teresa (17 March 2014). "Cruise regulations put Svalbard off-limits". The Daily Telegraph. Retrieved 6 April 2018. ^ "Direkteruter" (in Norwegian). Avinor. Archived from the original on 2 March 2009. Retrieved 9 September 2009. ^ "Finnair opens twelve new scheduled routes and increases frequencies for summer 2016". Finnair. Archived from the original on 8 December 2015. Retrieved 2 December 2015. ^ "Finnair denied route to Longyearbyen". thebarentsobserver.com. Archived from the original on 4 August 2016. ^ "Finnair grounded: Norway refuses to allow direct flights between Helsinki and Svalbard, citing 1978 agreement – icepeople". icepeople.net. Archived from the original on 17 October 2016. ^ "Charterflygning" (in Norwegian). Lufttransport. Archived from the original on 19 July 2011. Retrieved 9 September 2009. ^ "11 Sjø og luft – transport, sikkerhet, redning og beredskap". St.meld. nr. 22 (2008–2009): Svalbard. Norwegian Ministry of Justice and the Police. 17 April 2009. Archived from the original on 15 March 2012. Retrieved 24 March 2010. ^ "Temperaturnormaler for Spitsbergen i perioden 1961–1990" (in Norwegian). Norwegian Meteorological Institute. Archived from the original on 17 July 2012. Retrieved 24 March 2010. ^ S.L., Tutiempo Network,. "Climate Svalbard Lufthavn (Year 2016) – Climate data (10080)". tutiempo.net. Archived from the original on 8 January 2017. ^ a b c d e f "Protected Areas in Svalbard" (in Norwegian). Norwegian Directorate for Nature Management. Archived from the original on 27 September 2011. Retrieved 24 March 2010. ^ "Firearms in Svalbard". Sysselmannen.no. Archived from the original on 16 July 2016. Retrieved 30 June 2016. ^ "Polar bear kills British boy in Arctic". BBC News. 5 August 2011. Archived from the original on 23 February 2012. ^ Grieshaber, Kristen. "Polar Bear Killed After Attack on Arctic Cruise Ship Guard". NBC4 Washington. Retrieved 2019-03-24. ^ Welle (www.dw.com), Deutsche. "German man attacked by polar bear on Norwegian island | DW | 28.07.2018". DW.COM. Retrieved 2019-03-24. ^ "Enormous Jurassic Sea Predator, Pliosaur, Discovered in Norway". Science Daily. 29 February 2008. Archived from the original on 23 May 2010. Retrieved 24 March 2010. ^ "Norges nasjonalparker" (in Norwegian). Norwegian Directorate for Nature Management. Archived from the original on 14 September 2010. Retrieved 24 March 2010. ^ "Verneområder i Svalbard sortert på kommuner" (in Norwegian). Norwegian Directorate for Nature Management. Archived from the original on 24 August 2011. Retrieved 24 March 2010. ^ "Svalbard". UNESCO. Archived from the original on 4 March 2012. Retrieved 24 March 2010. ^ a b "Learning in the freezer". The Guardian. 29 August 2007. Archived from the original on 29 October 2017. Retrieved 29 October 2017. ^ Skinner, Toby (1 May 2014). "The Russians on Svalbard". Norwegian Air Shuttle (inflight magazine). Archived from the original on 29 October 2017. Retrieved 29 October 2017. ^ Umbreit, Andreas. Spitsbergen: Svalbard, Franz Josef, Jan Mayen, 3rd: The Bradt Travel Guide. Bradt Travel Guides, 2005. ISBN 1841620920, 9781841620923. p. 200 Archived 8 February 2018 at the Wayback Machine. ^ "Heidi The glaciologist". Norwegian Air Shuttle (inflight magazine). 1 May 2014. Archived from the original on 29 October 2017. Retrieved 29 October 2017. ^ "Tony's Non-League Forum: All Other Football Interests: All other football: Is this the world's most Northerly Football Ground?". nonleaguematters.co.uk. Archived from the original on 27 July 2017. Arlov, Thor B. (1996). Svalbards historie (in Norwegian). Oslo: Aschehoug. ISBN 82-03-22171-8. Arlov, Thor B. and Arne O. Holm (2001). Fra company town til folkestyre (in Norwegian). Longyearbyen: Svalbard Samfunnsdrift. ISBN 82-996168-0-8. Fløgstad, Kjartan (2007). Pyramiden: portrett av ein forlaten utopi (in Norwegian). Oslo: Spartacus. ISBN 978-82-430-0398-9. Stange, Rolf (2011). Spitsbergen: Cold Beauty (in English, German, Dutch, and Norwegian). Rolf Stange. ISBN 978-3-937903-10-1. [permanent dead link] Photo book. Tjomsland, Audun & Wilsberg, Kjell (1995). Braathens SAFE 50 år: Mot alle odds. Oslo. ISBN 82-990400-1-9. Torkildsen, Torbjørn; et al. (1984). Svalbard: vårt nordligste Norge (in Norwegian). Oslo: Forlaget Det Beste. ISBN 82-7010-167-2. Umbreit, Andreas (2005). Guide to Spitsbergen. Bucks: Bradt. ISBN 1-84162-092-0. Carlheim-Gyllensköld, V. (1900). På åttionda breddgraden. En bok om den svensk-ryska gradmätningen på Spetsbergen; den förberedande expeitionen sommaren 1898, dess färd rundt spetsbergens kuster, äfventyr i båtar och på isen; ryssars och skandinavers forna färder; m.m., m.m. Stockholm: Albert Bonniers förlag. 3 Became constituent countries of the Kingdom of the Netherlands; Suriname gained full independence in 1975, Curaçao and Dependencies was renamed to the Netherlands Antilles, which was eventually dissolved in 2010. Svalbard is an archipelago in the Arctic Ocean roughly centered on 78° north latitude and 20° east longitude. The archipelago is the northernmost part of the Kingdom of Norway. The three main islands in the group consist of Spitsbergen, Nordaustlandet and Edgeøya. There are also a number of smaller islands, such as Barents Island (Barentsøya), Kvitøya, Prins Karls Forland, Kongsøya, Bear Island, Svenskøya, Wilhelm Island and other smaller islands or skerries. Spitsbergen is the largest and only permanently populated island of the Svalbard archipelago in northern Norway. Constituting the westernmost bulk of the archipelago, it borders the Arctic Ocean, the Norwegian Sea, and the Greenland Sea. Spitsbergen covers an area of 37,673 km2 (14,546 sq mi), making it the largest island in Norway and the 36th-largest in the world. 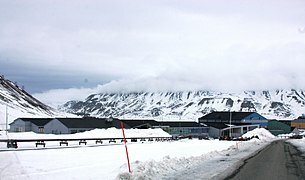 The administrative centre is Longyearbyen. Other settlements, in addition to research outposts, are the Russian mining community of Barentsburg, the research community of Ny-Ålesund, and the mining outpost of Sveagruva. Spitsbergen was covered in 21,977 km2 (8,485 sq mi) of ice in 1999, which was approximately 58.5% of the island's total area. Svalbard and Jan Mayen is a statistical designation defined by ISO 3166-1 for a collective grouping of two remote jurisdictions of Norway—Svalbard and Jan Mayen. While the two are combined for the purposes of the International Organization for Standardization (ISO) category, they are not administratively related. This has further resulted in the country code top-level domain .sj being issued for Svalbard and Jan Mayen, and ISO 3166-2:SJ. The United Nations Statistics Division also uses this code, but has named it Svalbard and Jan Mayen Islands. Longyearbyen (Norwegian pronunciation: [ˈlɔŋjeːrbyːən] is the largest settlement and the administrative centre of Svalbard, Norway. As of December 2015, the town had a population of 2,144. Longyearbyen is located in the Longyear Valley and on the shore of Adventfjorden, a bay of Isfjorden located on the west coast of Spitsbergen. Since 2002, Longyearbyen Community Council has had many of the same responsibilities of a municipality, including utilities, education, cultural facilities, fire brigade, roads and ports. The town is the seat of the Governor of Svalbard. It is the world's northernmost settlement of any kind with more than 1,000 permanent residents. Barentsburg is the second-largest settlement on Svalbard, with about 500 inhabitants (2007), almost entirely Russians and Ukrainians. It is the site of the Barentsburg Pomor Museum. Pyramiden is an abandoned Russian coal-mining settlement on the Norwegian archipelago of Svalbard. Founded by Sweden in 1910 and sold to the Soviet Union in 1927, Pyramiden was closed in 1998 and has since remained largely abandoned with most of its infrastructure and buildings still in place. Since 2007 there have been efforts to make it a tourist attraction. Svalbard lies under the sovereignty of Norway, but the Svalbard Treaty places several restrictions. Norway cannot use the archipelago for warlike purposes, cannot discriminate economic activity based on nationality and is required to conserve the natural environment. Uniquely, Svalbard is an entirely visa-free zone. Everybody may live and work in Svalbard indefinitely regardless of country of citizenship. Svalbard Treaty grants treaty nationals equal right of abode as Norwegian nationals. Non-treaty nationals may live and work indefinitely visa-free as well. "Regulations concerning rejection and expulsion from Svalbard" is in force on non-discriminatory basis. Arktikugol is a Russian coal mining unitary enterprise which operates on the islands of Spitsbergen in Svalbard, Norway. Owned by the Government of Russia, Arktikugol currently has limited mining in Barentsburg. It has carried out mining operations and still owns the towns of Pyramiden and Grumant, with its port at Colesbukta. The company is headquartered in Moscow and is the official agency through which Russia, and previously the Soviet Union, exercised its Svalbard policy. The economy of Svalbard is dominated by coal mining, tourism and research. In 2007, there were 484 people working in the mining sector, 211 people working in the tourism sector and 111 people working in the education sector. The same year, mining gave a revenue of 2.008 billion kr, tourism NOK 317 million and research 142 million. In 2006, the average income for economically active people was NOK 494,700, or 23% higher than on the mainland. Almost all housing is owned by the various employers and institutions and rented to their employees; there are only a few privately owned houses, most of which are recreational cabins. Because of this, it is nearly impossible to live on Svalbard without working for an established institution. The Spitsbergen Treaty and Svalbard Act established Svalbard as an economic free zone and demilitarized zone in 1925. Svalbard, Norway, is a vast, very sparsely inhabited Arctic archipelago. With fewer than 3,000 inhabitants in four communities, plus some smaller meteorological and scientific outposts, there are no communities connected by road. Off-road motorized transport is prohibited on bare ground, but snowmobiles are used extensively during winter, both for commercial and recreational activities. 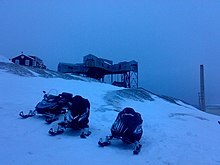 Transport from Longyearbyen to Barentsburg and Pyramiden is possible by snowmobile at winter, or by ship all year round. Road systems exist within the communities of Longyearbyen, Barentsburg, Sveagruva and Ny-Ålesund. All settlements have ports and Longyearbyen has a bus system. Barentsburg Heliport, Heerodden is a private heliport located at Heerodden, serving the mining town of Barentsburg in Svalbard, Norway. The airport is owned and operated by Arktikugol, which also owns the company town. The airport features a 91-by-21-meter runway, two hangars and an administration building with a control tower. There are two Mil Mi-8 helicopters based at Heerodden, which are operated by Spark+. Flights are provided to Svalbard Airport, Longyear and Pyramiden Heliport. Pyramiden Heliport is a heliport located at Pyramiden in Svalbard, Norway. The airport is owned and operated by Arktikugol, who owns the mining town. The airport consists of a gravel runway and apron measuring 90 by 40 meters and a small terminal building. There is capacity for up to three helicopters on the apron. Flights are carried out by Spark+ using two Mil Mi-8 helicopters. Flights are flown to Barentsburg Heliport, Heerodden and Svalbard Airport, Longyear at irregular intervals. Agriculture in Svalbard – the world's northernmost – has a short history, and remains a minor economic factor, but has nonetheless had a culturally and socially significant role, as well as an ecologic impact. Svalbard is also home to the Global Seed Vault, which serves to protect the world's biological and agricultural diversity. Polar Permaculture Solutions, AS was formed in January 2015. Polar Permaculture has been focused on producing locally grown food in town, and also with composting food waste. The archaeology of Svalbard is the study of human activity in the northerly Arctic Ocean archipelago's past. The geography, environment and climate of Svalbard have resulted in exceptional preservation conditions. Archaeological fieldwork on Svalbard is both expensive and physically exhausting, but new technology and infrastructure has allowed easier access. This easier access has also resulted in more damage caused by tourists. The Barentsburg Pomor Museum is a small museum located in Barentsburg, a town in Svalbard, a Norwegian archipelago in the Arctic Ocean. Created during the 1920s by the Dutch, the coal mining settlement was sold to the Soviet Union in 1932, and so it was the USSR which founded the museum in 1963. Today owned entirely by the Government of Russia through Arktikugol, Barentsburg is a shadow of its former self, with only a few hundred inhabitants compared to over a thousand during its heyday. The museum remains intact however, receiving most of its visitors in the form of tourists. It shares the same building as the town's Sports and Culture Centre. The Pyramiden Museum is a small museum located in Pyramiden, an abandoned town in Svalbard, a Norwegian archipelago in the Arctic Ocean. The museum features exhibits on biology and history, for example in the form of taxidermal polar wildlife, geological samples from the surrounding area, a few archaeological artefacts from the Pomors, some information on the coal mining industry, and a slew of Soviet memorabilia.